Food in southern Louisiana, he will tell you, is more central to everyday life than it is in most other parts of the country. Meals are planned, looked forward to, and celebrated with ritualistic importance. Any occasion at all - or indeed no occasion at all - provides an excuse to gather around food, be it nibbles with cocktails, or pots of red beans and rice, or a multi-course hours-long feast. There, loving every bit of it, is Ralph Brennan. His professional life is all about welcoming tourists and visitors - and even potential visitors - to the New Orleans food culture, and welcoming his friends and neighbors who make his establishments part of their regular dining routine. In private life he is a fisherman, golfer, and skier, a highly competent cook, and a wine enthusiast with a rigorous social life. Like most of his fellow citizens, he lives and breathes the local cuisine. He will tell you of scaling back his personal intake in anticipation of the Mardi Gras season of excess, 'a ten-day marathon,' for which the ensuing period of Lenten fasting never seems to be quite enough. "My wife manages to give up enjoying a cocktail or glass of wine," he marvels, "...I just go to the gym every day." As a small boy, Ralph Brennan loved the epic Italian Sunday lunches at his grandparents' house. "It was always a great family gathering, lots of fun with all the cousins," he remembers fondly. "My grandmother made the most wonderful homemade pastas with red sauce - and their housekeeper, Mary, made these incredible individual lemon meringue pies, only 3 inches in diameter," he says, clearly still enchanted after all these years. His own mother, restricted by his father's unfortunate allergy to seafood, had a small but excellent repertoire. "It was necessarily all meat-and-potatoes in our house," he explains, "she made a great baked chicken dish, and huge veal chops, and spaghetti and meatballs." Nowadays, he tries to approximate his mother's red beans and rice - his ideal - by eating the Red Bean and Andouille Soup at his own Red Fish Grill, over rice. And of course, he grew up immersed in restaurants. Tagging along with his father and grandfather and beloved aunts on weekends as they went about their business, it was a heavenly playground. "As long as I didn't get in the way, I had free rein - the kitchen, the bar, the storeroom, I was fascinated by it all. During Mardi Gras at the original Brennan's, on Royal Street, we would watch the parades and do our homework in between. We were very much at home there." In high school, Ralph Brennan was granted a summer job as a prep cook at Brennan's, boning chickens and peeling shrimp by the thousands before being promoted to the line, where he learned the basics - including the not-so-basic sauces at the heart of classic New Orleans cuisine. At Tulane, he majored in economics. Today, Ralph Brennan is chiefly concerned with what he calls 'the guest experience,' or everything that touches a customer - the food, the menus, and the atmosphere. But he acknowledges that the numbers are an integral part of the equation. "My dad, my aunts, and my uncles all encouraged me to get a business background. They were successful restaurateurs who had learned on the job, and they understood how important the numbers are to the business. They all seemed to know it was time for someone in the family to have some formal training." Because of a well-documented dispute within the family, his re-entry in to the industry was delayed. Instead, he earned an MBA and spent eight years as a CPA with Price Waterhouse. When he finally returned to the family business, he was armed with plenty of numbers-experience, as well as a whole-hearted love of it all. Today, The Ralph Brennan Restaurant Group includes Red Fish Grill in the New Orleans French Quarter, Ralph's on the Park in Mid-City New Orleans, café NOMA within the New Orleans Museum of Art, Heritage Grill with its catering facilities in the Heritage Plaza complex in Metairie, café b in Metairie, Ralph Brennan's Jazz Kitchen® located in the Downtown Disney® District at the DISNEYLAND® Resort, and Ralph Brennan Catering & Events. In fulfillment of a long held dream, in partnership with his friend Terry White, Ralph Brennan now owns Brennan's, the iconic establishment on Royal Street where he played as a child, which they re-opened in 2014 following a complete renovation. Ralph Brennan is a co-owner of Mr. B's Bistro and Commander's Palace in New Orleans, and Brennan's of Houston. For twenty years, he owned and operated the DiRoNa Award-winning BACCO restaurant in the French Quarter. 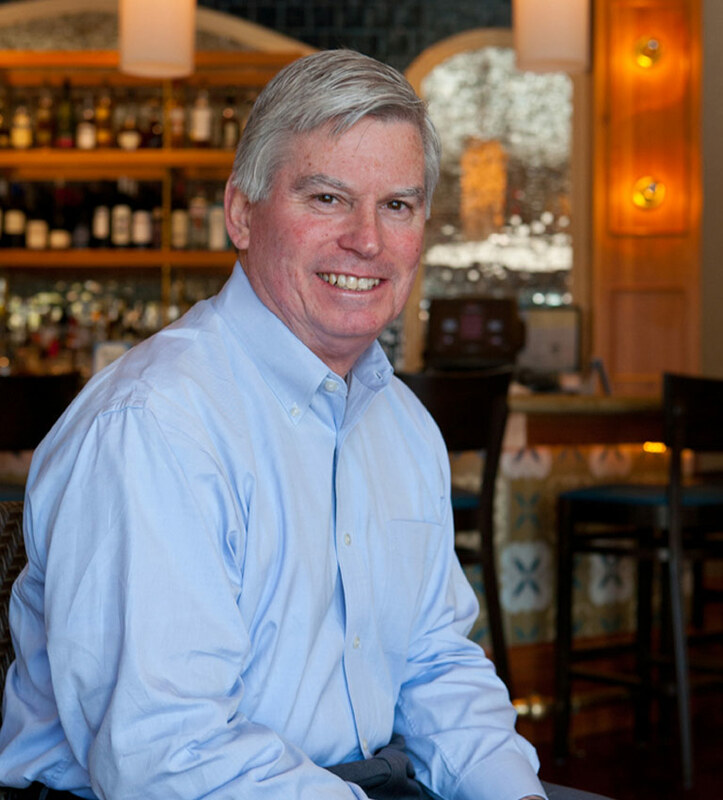 Ralph Brennan is also a tireless advocate for the restaurant industry and for the city and people of New Orleans. He is a past president and chairman of the National Restaurant Association; has presided locally over both the Louisiana Restaurant Association and New Orleans Restaurant Associations; and has served as chairman of the board of the Ernest N. Morial New Orleans Convention Center. By virtue of his undisputed local expertise, Ralph Brennan was appointed to the U.S. Travel Association Board of Directors for the 2011-2013 term. He testified before Congress in the wake of the 2010 BP oil spill that threatened the Gulf seafood industry, his authority established not only by his experience as a respected restaurateur, but as the author of the acclaimed Ralph Brennan's New Orleans Seafood Cookbook, published in 2008. As a private citizen, he makes a point of supporting local businesses and establishments. Instead of relying on his restaurants' beverage suppliers to support his own wine collecting habit, for example, he patronizes the local markets. Two of his three children have joined their father's group, one as a front-of-the-house manager, and the other, a graduate of the Culinary Institute of America, as a line cook. Despite his own distant experience on the line, Ralph Brennan has no pretensions of being a 'real' kitchen professional. "There are skills of speed and quality that I haven't taken the time to develop," he explains, "I love to be involved at every level. It's fun for me to expedite orders, serve food, bus tables - whatever it takes - but these guys in the kitchen are real pros. I would make a poor amateur!" He does consult with his chefs about their menu concepts. "One dictate I've established is that there must always be a light and simple grilled fish available, at all the restaurants. People are conscious about their health, even our guests who are tourists here, who may be more likely to splurge a bit on restaurant meals. It is important to me to accommodate and support that body-conscious instinct. But the dishes themselves are all up to the chefs - not me." In fact, one of Ralph Brennan's own home-cooked specialties is Grilled Redfish "on the Half-Shell", a red fish filet, skin on, thrown on the grill with a little Creole seasoning, butter, and Worcestershire sauce. Then he cubes it out of the skin: "Just incredible." But his absolute favorite meal? A cheeseburger with fries and a chocolate milkshake - has been since childhood. Can he get that at any one of his own restaurants? "No, as a matter of fact, I can't," he laughs. "Just as well!"